The beginning of truly inexpensive data storage began with the introduction of magnetic tape. Unlike previous data storage technologies such as punch cards, magnetic tape has the ability to hold large quantities of data. Additionally, the ability to store data on magnetic data did not inhibit the format of the data. Finally, magnetic tape is reusable meaning data can be stored, erased, and re-written. Unfortunately, magnetic tape has its drawbacks. Tapes must be accessed sequentially. This means that it may be necessary to read an entire tape in order to access the requested information. Magnetic tape is also somewhat fragile. If not properly maintained, the tape can be damaged rendering it, and the data it contains, useless (Inmon, Strauss, & Neushloss, 2008). 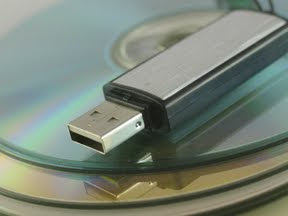 Disk storage represented the next leap in data storage technology. Like magnetic tape, disk storage is reusable. Data can be written to disk storage over and over again. Additionally, disk storage continues to become more cost effective. Thanks to an improved access system, disk storage is able to read only the data requested, rather than being limited by sequential access. Finally, disk storage is a much sturdier technology. Although disks do have a limited lifetime, their mean time to failure far exceeds that of magnetic tape. By itself, disk storage is not a very useful storage medium. It requires applications to be built on top of it to make it more useful. Database management systems are an example of applications that make disk storage useful (Inmon, Strauss, & Neushloss, 2008). Additionally, many storage applications built for magnetic tape are still in use by large organizations. These applications can not take advantage of the benefits of disk storage. Virtual Tape Libraries (VTLs) emulate magnetic tape libraries, using disk storage as the underlying technology. VTLs allow storage software to write data in continuous streams similar to the way data is written to tapes. Since the data is stored on disks rather than magnetic tape, VTLs offer the advantages of disk-based storage such as speed, cost efficiency, and long life. The primary drawback of this data storage method is that the portability of magnetic tape is lost. This lack of portability has led to a low acceptance rate among many organizations (Greiner, 2008). Greiner, L. (2008). Using a Virtual Tape Library for Archiving. Faulkner Information Services. Retrieved July 9, 2009. Inmon, W. H., Strauss, D., & Neushloss, G. (2008). DW 2.0: The architecture for the next generation of data warehousing. Boston: Morgan Kaufmann.